First thing’s first: If you haven’t followed me yet on Snap, let’s pause, shall we? You can find me with my Snap URL, enter my username (@JessicaZweig) right into your app, OR snap my Snapcode (that’s fun to say, right?! ), which I’ve so kindly provided for you right here. If you’re a blogger, an influencer, a marketer, an entrepreneur, (or operate any kind of business that needs customers for that matter), there is no better channel to build your brand than on Snapchat (#IMHO). In relation to other social platforms such as Instagram, Facebook, Twitter and LinkedIn, you’ve got to think about Snap differently. Snap isn’t about promoting, posturing, styling or selling. It’s about story telling. It’s an entirely new context to add more dimension and humanness to your personal brand, which is why I am particularly the most excited about it. The truth is: your life is your story. **So long as you become intentional about it and maximize all that Snapchat has to offer, you can turn even the most mundane parts of your day into some of your most entertaining, inspiring, moving and/or educational content. You can also utilize it to amplify your personal brand, grow your business, create deeper relationships, add more revenue to your bottomline and absolutely elevate the meaningfulness of your “social” life. It just boils down to intention. So – you guys ready to learn how to be a BOSS on Snapchat? I know, I know, I sound like a broken record, but I really want to cement this point. There’s nothing wrong with being a “poster” – which a lot of people indeed are. Posters are Snappers who post random pictures and videos in this hypothetical order: a photo of the new orchid flower on your desk in the morning…then a few hours later… a photo of your burger at lunch…then a quick video of the beautiful sunset off your balcony in the evening. That’s all interesting enough content, but I, as your follower, want to see the narrative behind all of that. Who gave you that orchid? Was it a gift? How did it make you feel? And that burger? Was it the best burger you’ve had in a while? Should I, your follower, go to that restaurant to try it myself and if so – how should I ask for it to be prepared? How did it make you feel? And perhaps that moment watching that sunset off your balcony is the first moment of quiet you’ve had all day. Maybe all week. How does THAT make you feel? The nuances of your day are the crown jewel of your content on Snap…because, remember, it’s king. Extra tip: try to create a true beginning, middle and end to your stories. To do this the most seamlessly, I like to turn my phone on airplane mode and take all the snaps of my story at once. (FYI- you can send still send Snaps to your story in this mode, they will just stay pending.) Then once you’ve completed your story – you can upload your snaps in one swoop and essentially “publish” your masterpiece. The Chat feature in Snapchat is hands down my personal favorite feature in the app. It’s an entirely new way to approach “social community management.” Why? Because you’re not managing a community at all… you’re creating relationships. This requires a bit of effort on your part, but the rewards of this are worth every bit of it. The results are not only better engagement on your Snaps, but creating connection and context with other people, which can lead to anything from a higher Snap score, more followers, a new prospective client, a new collaborator or simply a rad new friend. Just like with your storytelling, be intentional – and proactive – with your conversations. Respond to the content you’re seeing in people’s Snaps by sending them a personal message about it, Snap back to the people who are doing the same to you, and get to know what your fellow Snappers are into so you can share direct Snaps you feel they’d find valuable. 3. Create Value and Ask Questions. I’m a total proponent of randomness. Seriously: the weirder, the better. That kind of content can be where we get a glimpse of the most genuine and authentic versions of the people we follow. But don’t turn your Snapchat feed into one long self-indulgent, self-entertaining channel. Remember, just like your followers on Instagram, LinkedIn and Twitter who are most likely following you for inspiration, insights and answers, view Snapchat similarly. Make your channel a generous one. Give away insider tips, share links to what’s motivating you, and bounce questions off your followers, which inherently showcases that you value the feedback of the people who clearly value you. Create a Q&amp;A call-out. Screenshot some of the answers you receive in return and share those right back via your Stories, amplifying your followers. At its core, Snapchat is a 1 to 1 messaging platform, but you can create community (and loyalty) by the virtue of strong, relevant and “crowd-sourced” content. I refer to Snapchat as “the walled garden.” Since you can’t search by hashtags and common interests, or share posts or the accounts of others to your feed, you have to proactively seek out the accounts you want to follow. However, one of the best ways to find people to follow are from referrals to accounts from the people you’re following. So, instead of waiting for someone to promote you, promote someone else. (Again – focus on generosity.) 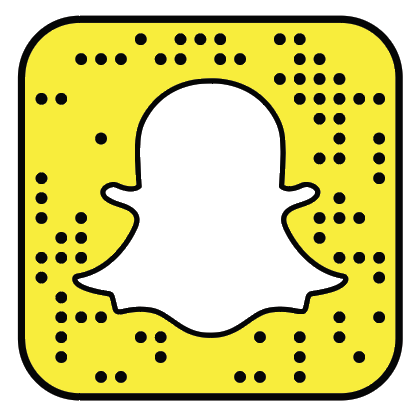 Share someone’s Snapcode or user name, or a screenshot from your 1:1 message interaction with them. Or, if you’re feeling extra adventurous, swap accounts with a follow Snapchatter to promote each other’s accounts and interact with their followers. This not only results in creating more value for your fans (which should always be your #1 priority), but it’s also a great way to gain more exposure and increase your following. Paying it forward always pays you back. Just like with any other social platform, consistency is key. But unlike any other social platform, you don’t have worry about “bombarding” your following by posting too often. You would never post 10 Instagram posts in a row (or at least, I hope you wouldn’t!) and you wouldn’t fire off tweets 24 hours a day (unless you were CNN), and you probably don’t update your Facebook friends morning, noon and night…right? These platforms all have their optimal cadences, but Snapchat is intended to be fluid. The more often you post to your Stories, the more you’re going to show up in your followers’ feed. But unlike Twitter or Instagram, with its mandatory scroll, Snap users can scroll their Story feed and skip around to what they want to watch. The purpose is simply to stay in the game. (I like to post a Snap to my Story first thing in the morning and the last thing in the evening, to ensure I’m capturing my audience no matter where they are in the 24-hour cycle.) Consistency keeps you visible which increases your viewers, which enhances your engagement, which results in stronger connections, which is the secret sauce of Snapchat. I recently took a meeting with a couple executives at Snapchat and they shared with me that founder Evan Spiegel’s number one priority is hyper focused around creativity. If it’s not creative, it doesn’t belong in Snap. This anecdote got me so jazzed. If you take a look at every feature, function and tool – from the ability to draw, the custom stickers, moving Emojis, face-filters, geo-filters — everything is intended to be fun and engaging to play with and create. Take advantage of it all to enhance your storytelling. Snapchat provides context to showcase your humanity, your sense of humor, your self-deprecation and – best of all – your vulnerability – unlike any other medium. Snapchat allows you to …wait for it…you know it’s coming… SimplyBe. (Is it becoming even clearer why I am so obsessed with it?) So get real and get going. And make sure you follow me on the Snaps. I can’t wait to YOUR boss skills soon.